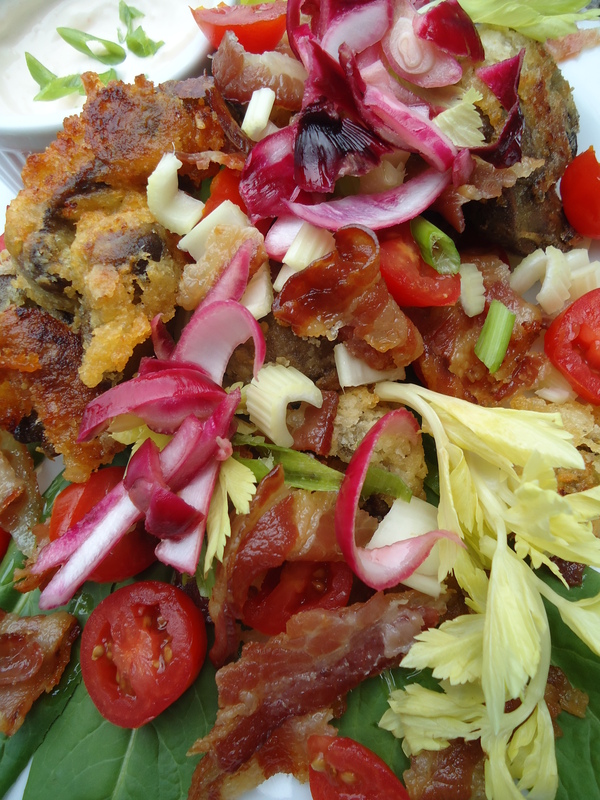 This carnivore’s salad is filled with bold ingredients like bacon, dandelion greens, celery leaves and pickled onion, but the star ingredient are the chicken livers. In a medium bowl, soak the chicken livers in 1 cup of the buttermilk for 10 minutes, then drain. Add the remaining 1 1/2 cups of buttermilk to the bowl. Dredge the chicken livers in the seasoned flour until coated, then re-dip the chicken livers in the buttermilk and dredge again in the flour to double-coat. In a large, deep skillet, heat 1/2 inch of vegetable oil to 325°F. Fry the livers until golden, about 2 minutes per side. Drain the chicken livers on paper towels and immediately season with salt. In a bowl, toss the tomatoes, parsley and celery ribs and leaves. Add the pickled onion and the reserved 1 1/2 teaspoons of pickling liquid. Place the greens on a serving plate. Spoon the ranch dressing onto of the greens. 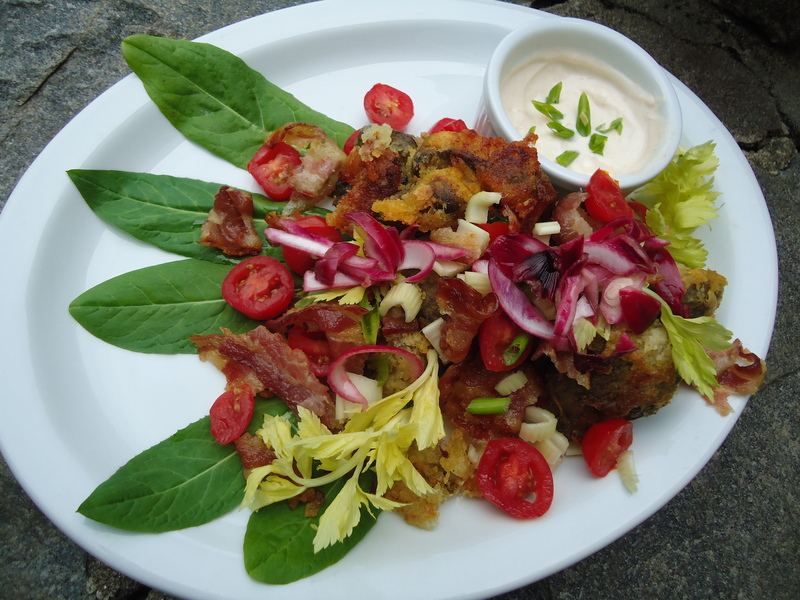 Top with the tomato salad, chicken livers and bacon and serve at once.